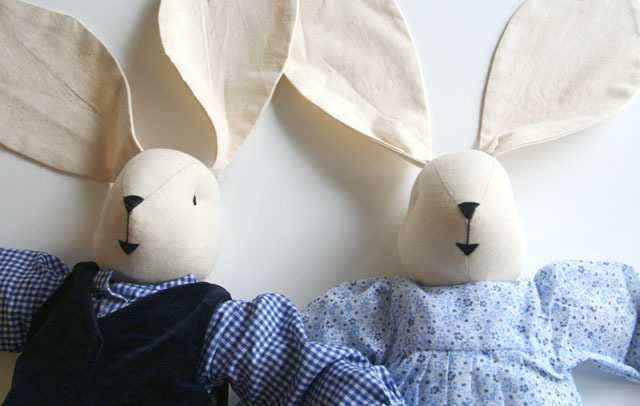 Curious about these gorgeous bunnies in the pictures above? We have them at our store. 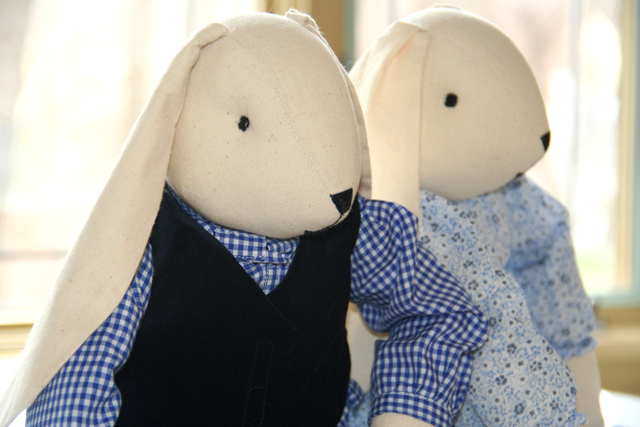 Easter Bunny Dad and Easter Bunny Mom by Yellow Label Kids, a beautiful gift for Easter that could become, not only your childrens' favorite, but also items of decor in their room. 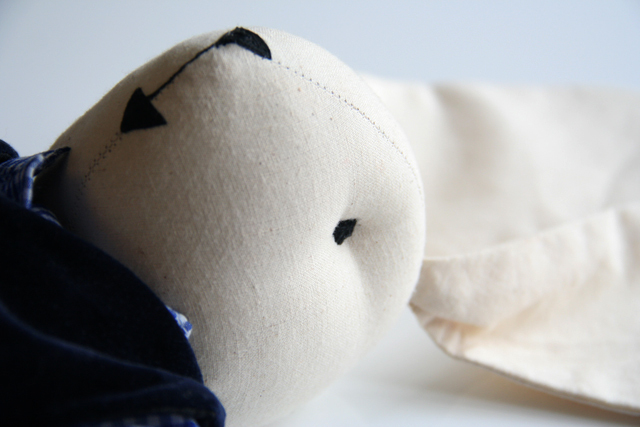 Made of 100% cotton, these dolls are safe toys. 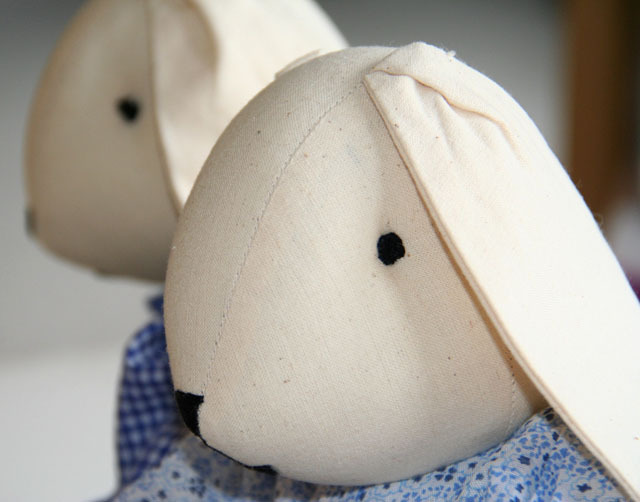 Their clothes are fastened with velcro to avoid the use of buttons and their eyes, noses and mouths are all sewn on their faces, so nothing becomes a choking hazard. 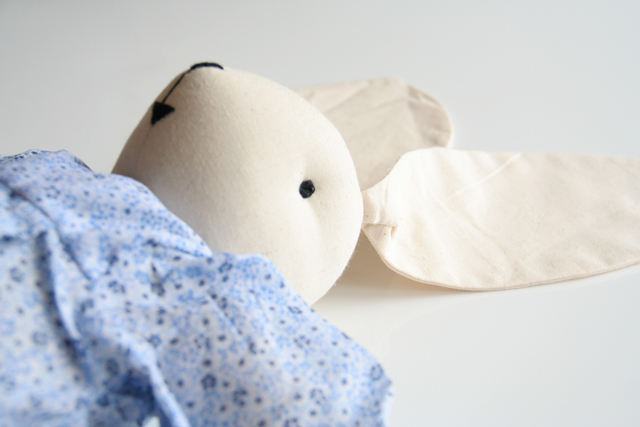 Just to make sure you don't miss these cuties, from now and until Friday, April 6th, we are offering a 10% discount on each one of these Easter Bunnies. No codes necessary, just head over to Chittypulga, the discount has already been applied. In the meantime, I'll have another chamomile tea with the bunnies. Have a great weekend, everyone!! ...Chao!! Easter Bunny Dad available here. Easter Bunny Mom available here. If that crazy obsession for shoes is leaving you with a terrible sense of guilt, feeling like you really didn't need the last pair you bought, but you just couldn't help it, maybe you are not getting inspiration from the right place. Buying an extra pair of shoes and feeling awesome because you are helping people around the world, is possible. So, put your guilt to rest and pay attention because these shoes can also help you solve another problem; finding early a nice Mother's Day gift for a sister, a friend or even yourself. Remember TOMS? A shoe company created by Blake Mycoskie to help children in need, matching every pair sold with a new pair of shoes given to a shoeless child? Remember FEED? A project co-founded by Lauren Bush with the mission of creating good products that help "feed" the world? Well, TOMS + FEED got together and created this beautiful, limited edition pair of the "FEED 12 TOMS Classics", a comfy pair of flats, featuring the well-known FEED logo in silver and black over burlap material. Everyone included, sizes will be available for women ($58) and toddlers ($34). Feeling enthusiastic already? You must know that through the simple purchase of these shoes, 12 school meals and one pair of new shoes will be given to a child in need... Now we are talking "shopping with no guilt". Amigas, mark your calendars because these shoes will be available exclusively at TOMS.com, starting April 1st until sold out. The week just started, the to-do list is being reorganized, the calendar is getting a quick check and suddenly... chaos!! ...Where have your mind been? ...Easter is really around the corner, just two weeks away, and the only thing you have ready for the celebration is a plastic bag in your pantry, full of jelly beans and chocolate bunnies from last year... Disastrous!! The collection just hit the stores a few days ago and we have to say, it is very appropriate for Easter or any spring celebration. Stylish in general, delicate and airy for girls, classic and more traditional for boys, the new line covers young ones from babies to twelve years old. We are particularly loving the girls' dresses, like the Toddler's New Tie Dress and the Girl's Sleeveless Party Dress featuring beautiful, feminine floral prints, spring colors and fabrics that, even in the pictures, look so soft and comfortable. Now, get into some clicking action and start getting your Easter celebration on track... Chao! 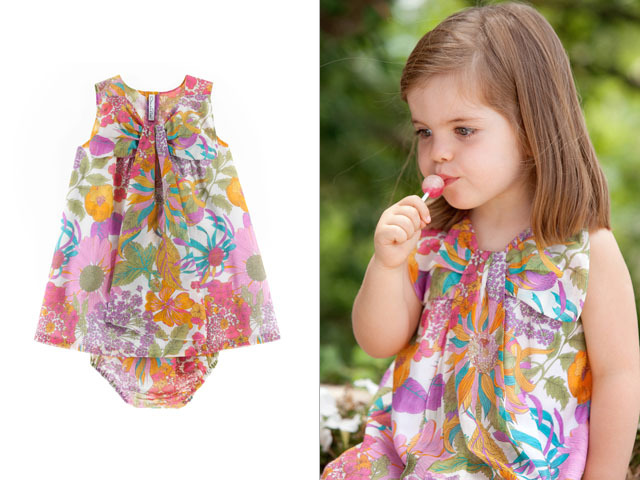 Oscar de la Renta, new spring-summer collection for kids available here . I must confess my obsession with shoes over the years has gone through some kind of metamorphosis, and like an octopus, I have developed many grasping tentacles and multiple eyes focusing exclusively on shoes. Heels, wedges, boots, flats, pumps, I love them all, but since motherhood became part of my life, a new category started to develop. Now I find myself going awwww!!... awww!! in front of the computer all the time. I've developed a "bootie" obsession, I've turned into a baby shoe fanatic, who keeps looking for the next friend's baby shower to buy booties, even as a gift, since my girls outgrew the infant stage long ago. LaLa Shoes is the brainchild of Daria, a product and graphic designer based in Zagreb, Croatia. 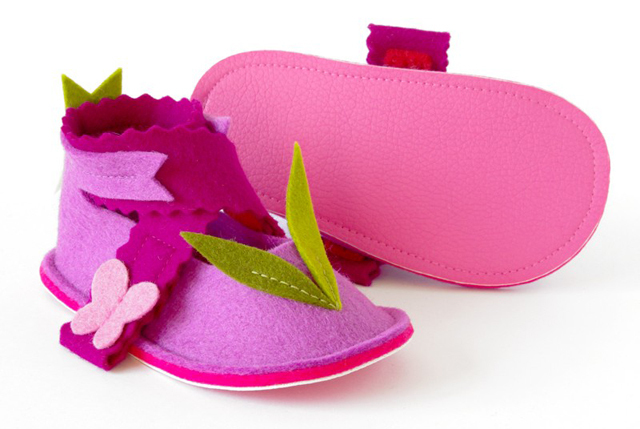 Driven by curiosity and a need for designs to take life under her hands, Daria has put together this colorful line of baby and toddler shoes, created and also handcrafted by the artist herself. Beautiful and functional, LaLa Shoes are constructed with high quality natural materials, 100% certified pure wool felt and a non slip eco-leather layer on the soles of toddler styles. When it comes to colors and finding the right hue to match your little one's new outfit, no worries, LaLa Shoes has your back. Colors and themes are plenty, and the selection for the spring-summer seasons, fantastic. 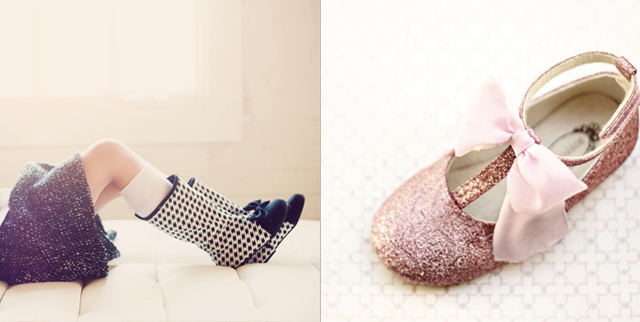 Aren't these two pairs above, the Guppies Baby Shoes and the LaLa Rose Mary Janes, just gorgeous? 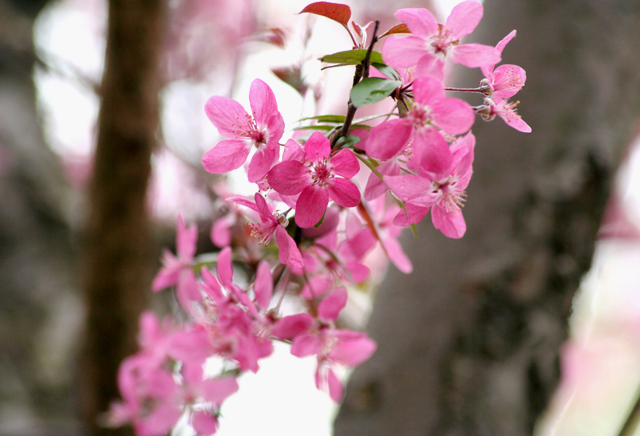 Spring is finally here!! ...and that makes us very happy. A season of celebrations and many occasions to gather with friends and family. 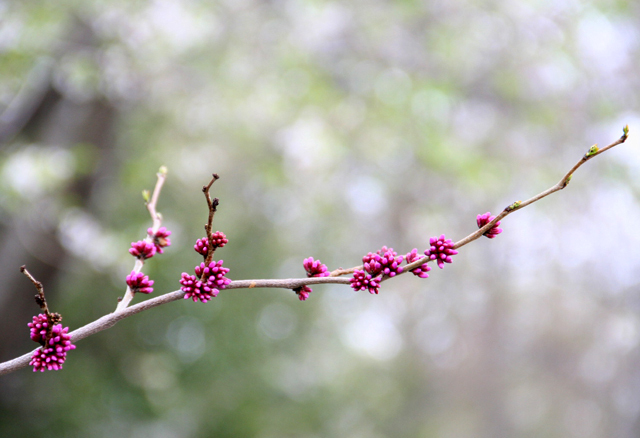 A season to enjoy the outdoors with the kids, and celebrate life and its miraculous revival, all around us... A season of flowers, birds, long sunny days and cool nights... We love it all!! Easter, Mother's Day, Earth Day, Baby Showers, we are ready to celebrate and share with you the coolest trends in modern design for kids and new-parents. So... Cheers to spring!! Cheers to the new season!! ...Hoping yours is a wonderful one. Keep in touch and don't miss a post. We will also be reporting about fun kids' events and our family trips around New York City and the Hudson Valley area... Chao! 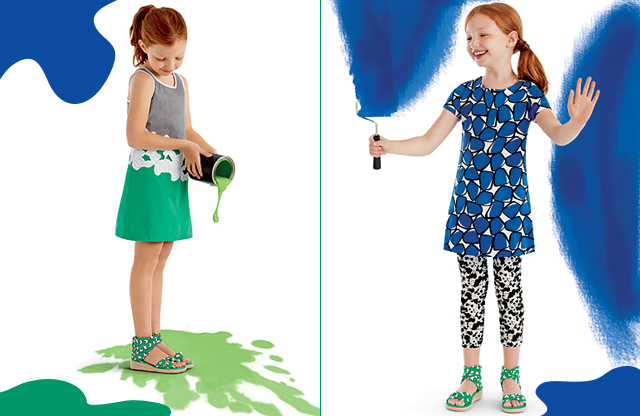 DVF for GAPKids: Girls... Ready, Set, Shop! Amigas, the wait is over!! If you have been in agony, drooling over these cute outfits, waiting for the launch of fashion icon Diane von Furstenberg's, spring-summer collection for GapKids, I have good news for you. Stop checking off every single day on your calendar till March 15th, and get into some clicking action right now. Following curiosity, I found the link into the Gap's site that will take you straight to the whole collection available now, "ready to ship", even two days before it hits the stores. As expected, the collection is incredible! Signature elements like DVF's hibiscus pattern, leaves print and wrap dress were included in the playful line, also featuring adorable espadrilles, rompers, onesies, blazers, swimsuits, leggings, tees, and even sunglasses. Stylish and very DVF, this collection combines beautifully the designer's vintage bold-colored prints with the trendy hues of the season, making it fun, vibrant and age appropriate. Ranging from newborn to 14, all pieces look comfortable and easy to wear. As DVF says: "This collection is all about celebrating life and celebrating colors, empowering little girls and empowering the woman she will become"... I like that!! Don't waste a second, DVF loves Gap Collection available here. Pot of gold somewhere? 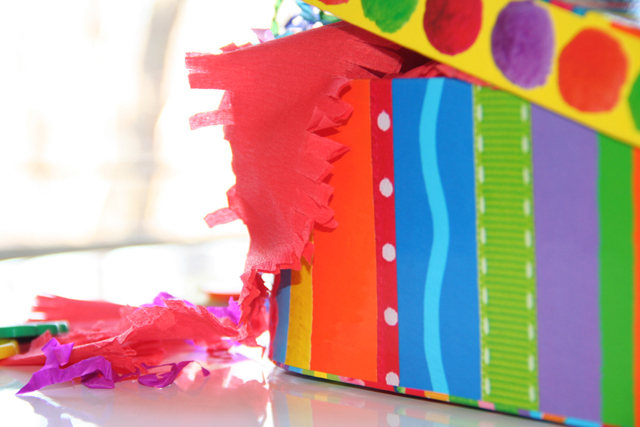 ...Yes, a pot full of rainbow-inspired toys ready to get your little one color prepped and artsy... The Crafty Kit by Alex Toys (above) is loaded with everything your young Picasso needs to make his first steps into the world of arts. 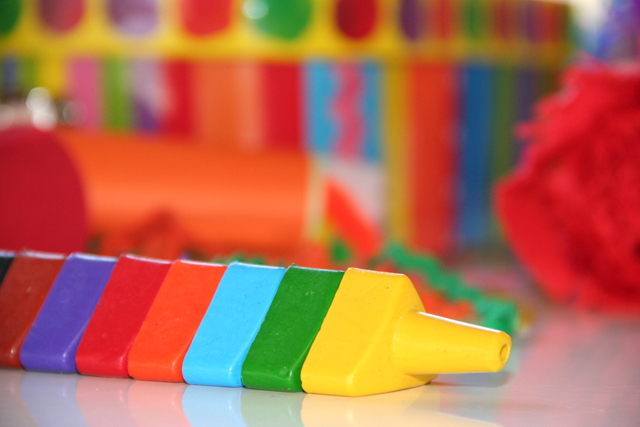 All together in a colorful, durable case with a handle, this kit comes with an amazing amount of supplies in all colors of the rainbow, crayons, tissue paper, pipe cleaners, popsicle sticks, ric-rac, pom-poms and easy-to-make project ideas suitable for toddlers 2 years old and up. 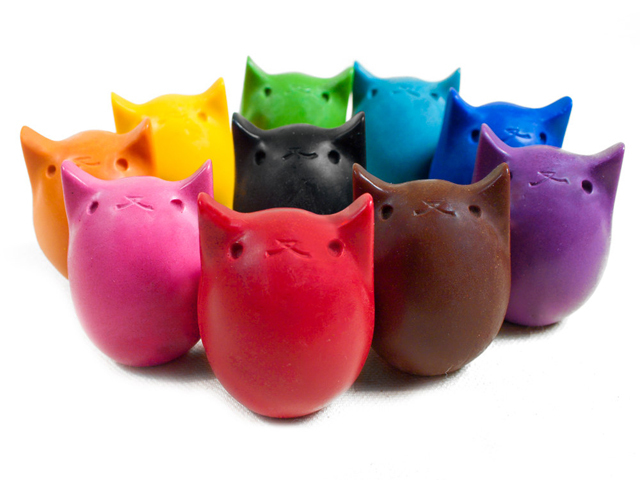 A set of Kitty Egg Crayons by Kittybblove. One thing I find extremely difficult is teaching babies their first colors... How do you get your baby to understand that you are not teaching her the shapes or the name of things. "No, no sweetie, it's not a dog, it's not a circle, it's red, red, red". Until it finally clicks and baby starts to point at all things red. Patience, patience,patience!! In the meantime babies may start training with this adorable set of eco, handmade, non-toxic crayons, perfectly shaped for little hands and easy to use. No paper wrappers, no sharpening involved. Lady Bug Learning Playset by MamaMayi. 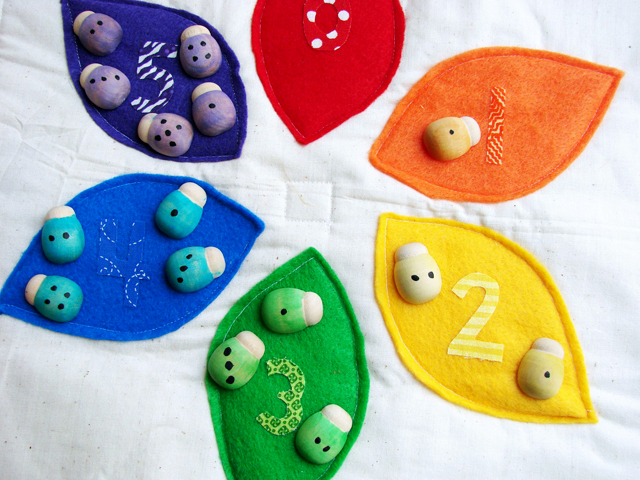 It may look like just a cute and simple "rainbow" color sorting mat, but this Montessori and Waldorf inspired toy has so much room for color and number exploration. Move along with your little one from the initial recognition of basic colors and numbers to more complex activities like counting, comparing, ordering and practicing fine motor skills by grabbing and placing the little bugs on the flower petals. Educational and also safe for kids, all little bugs are colored with nontoxic watercolor wash and sealed with beeswax and jojoba oil. Keeping the older kids in mind, a DIY Rainbow Rock Kit from Fairyfolk. 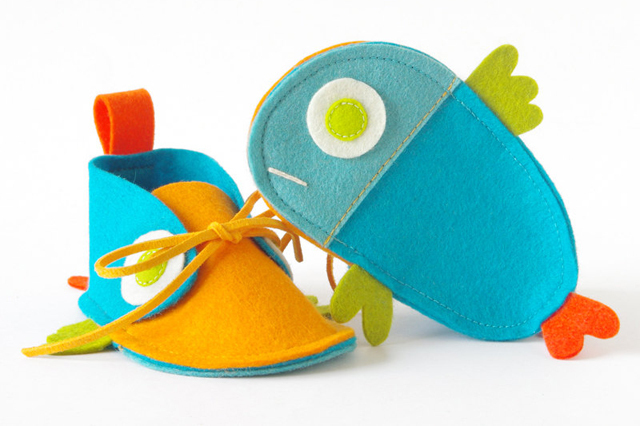 A beautiful do-it-yourself craft project for children who are interested in the arts of needle felt and wet felt. 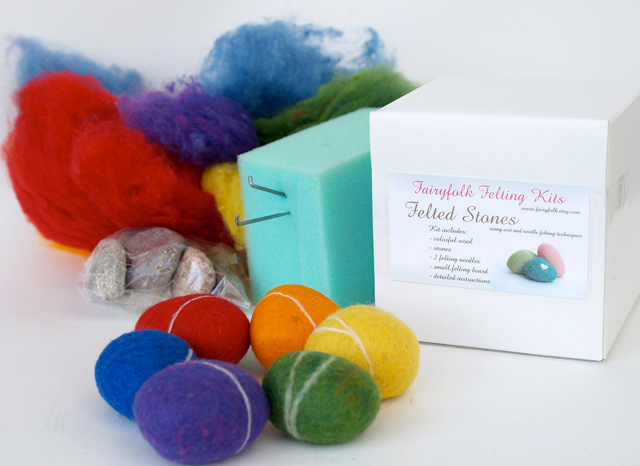 This set provides six river stones, wool in each of the rainbow colors, felting needles and well written instructions to create those gorgeous felted rocks, which can also be made and used as Easter eggs. Great idea for a birthday present too. Kitty Egg Crayons available here. Lady Bug Learning Playset available here. Rainbow Rock Kit available here. 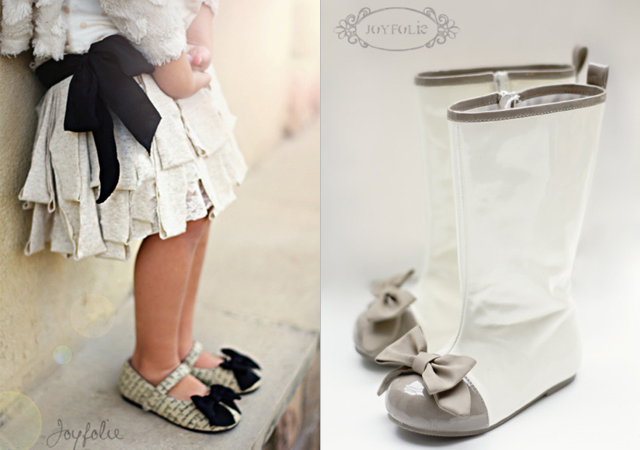 Joyfolie: Put a Bow on Her Hair and Her Boots too! I bet you've always been afraid of that moment when your little girl, at some point, not so little anymore, would be sneaking in your closet and squeezing her feet into your treasured heels... Aghh! The thought of scuffed shoes... What a nightmare! But, what your sweet princess never thought was that one day, she would be the one having to guard her closet to keep you away from her fantastic, out-of-this-world collection of Joyfolie shoes. Yeeahh...We know ...We understand you!! The bows, the glitter, the houndstooth graphic, too much for you to handle, but you must stop and hope for that day when Joyfolie will have your size also available. In the meantime ladies, let's just drool over this gorgeous line of shoes and boots, get over our jealousy, and try to find some matches for those spring outfits we already have in mind. Joyfolie's Spring '12 collection is out and we cannot get over those Houndstooth Boots with the capped toe and the black bow on top, or the Maci Spectator Boots with that super delicate combination of faux patent leather in latte and cream. T-straps, Mary Janes, flats and peep-toe shoes, complete this line of unique designs with a fabulous abundance of bows, glitter, flowers and gems. While Joyfolie's products are not exclusively "green", it is nice to know that their shoes are mostly made with organic fabrics, recycled rubber and reclaimed materials and trim. In other words, beauty meets environmental responsibility and the result is great. Psst!! Every pair of shoe your order, also includes a hair matching bow or a flower clip... who knows? Maybe after some negotiations, your princess will let wear the hair bow.